Possibly -- but not anytime soon. Xiaomi captured 14% of the Chinese market in the second quarter, according to research firm Canalys. That translates to 15 million smartphones. Amazingly, 97% of Xiaomi's smartphones are sold in China, but its success there is good enough to make it the fifth-largest smartphone maker in the world, behind Samsung, Apple (AAPL), Huawei and Lenovo. Having conquered China, Xiaomi is setting its sights on international markets, aiming to get into Indonesia, Mexico, Russia, Thailand and Turkey by the end of the year. But the success it found in China, offering super-low price phones with online-only sales, might not be enough to translate to global dominance. Few people outside of China have heard of Xiaomi, and any carrier that starts selling Xiaomi phones will have its work cut out to market the devices to customers. "Its aggressive pricing model will certainly resonate beyond China, but the challenge it faces in scaling its model for success on a global stage should not be underestimated," said Canalys analyst Jessica Kwee. "That said, Xiaomi does have the potential to be a disruptive force beyond China and international vendors should take note." Even if it finds success in those countries, the United States will be a significantly harder nut to crack. Of the smartphone leaders in China -- Xiaomi, Samsung, Lenovo, Yulong and Huawei -- only Samsung is a serious player in the United States. The United States has proven to be a tricky market for international players. For the better part of the past decade, Nokia (NOK) was the worldwide leader in cell phone sales without any significant presence in the United States. LG, Sony (SNE), and many others have found international success but have failed here. "The United States is a market where the majority of mobile phone users are smartphone users," said Ramon Llamas, smartphone research manager at IDC. "They're savvy about brands and what platforms are out there, and there's probably not a lot of room for new vendors." It's hard for any smartphone manufacturer not named Samsung or Apple to compete in the United States. The two companies combined for 69% of U.S. smartphone sales in April, according to comScore. Also, smartphones that have sold exclusively online have also flopped in the United States. Google (GOOGL) tried and failed to shake up the way Americans buy smartphones with its Nexus experiment. Motorola tried and failed to drive online sales by allowing people to customize their Moto X phones online. Yet Xiaomi has a few key distinguishing features. The privately-held company doesn't even try to make money on its $130 phones, which it sells at cost. Instead, most profits come from add-ons and apps. Xiaomi has also has a knack for marketing, and its advertising campaigns have attracted a massive group of extremely loyal fans in China. But can that be replicated abroad? 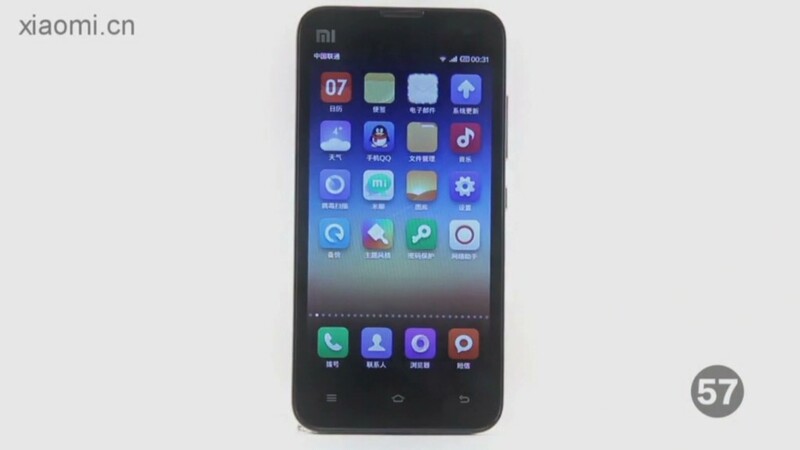 "What is radically different about Xiaomi phones?" asked Llamas. "They're Android phones and they look like iPhones -- but it's still an Android, and we're looking at a lot of Android phones in the U.S. market. How do you drive sales with no brand recognition from ground zero?"